Providence Homes is excited to announce the release of Phase 4 in Greenleaf Village at Nocatee. These new home sites consist of 40’ and 80’ home sites that are brand new to Greenleaf Village one of the fastest selling neighborhoods in Nocatee. Providence Homes offers 100% Certified Energy Star Homes in Greenleaf Village range in size from 1446-2287 sq ft starting from $179,940 on the 40’ sites and range from 2,396 to 4308 sq ft starting from $269,940 on the 80’ sites. One and two-story homes offer amenities such as game rooms, guest suites, media rooms, bonus rooms, 3-car garages and more. In 2012, Providence Homes has averaged 5 sales per month in Greenleaf Village and the interest continues to grow. Nocatee was recently named as one of the top fifteen fastest growing communities in the United States and has received the Developer of the Year award by the Northeast Florida Builders Association for the 5th consecutive year. Greenleaf Village features its own 10-acre Greenleaf Park which features a 10-acre natural setting with ball fields, picnic areas and its very own dog park. 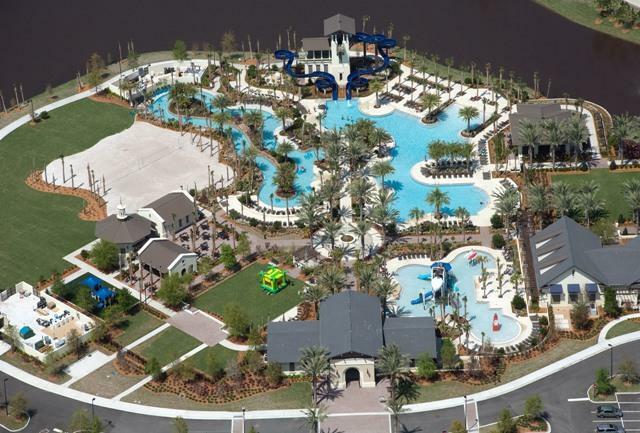 And residents still have access to Nocatee’s world class state of the art recreational amenities including splash park, fitness center, Nocatee preserve, zip line, and only 3 miles from the ocean. Visit us on our website today!